Yes they do exist. We have our real world, the mundane, day to day realities of work, survival . Things usually don’t change very much, or they change at a slow pace. Life is usually very logical point A to point B sort of stuff, most of the drama occurs in our heads. Then there is the other world. The world of dreams, desires, subconcious and conscious, symbolic and concrete, logical and illogical. These dreams often happen at night when you are asleep. Characters and symbols representing the events and echoes of the other world -work, love, fears, hopes. Sometimes the other world is remembered upon awakening from sleep, sometimes even flashing through the mind while going about our day of reality. And sometimes these two worlds intersect. When that happens it’s that in-between feeling of magic, the supernatural, and the dizziness of the unexplained. Have you ever dreamed about somebody that you work with, and then gone to work encountering that person, and for some reason THAT DAY in their presence you feel weird, you can’t look that person in the eye? Or have you ever thought about something and THEN IT HAPPENS? Have you ever thought the phone was about to ring, and then it rings? Is this where the parallel worlds meet, or is it all JUST circumstantial? Can we get to that pount in our minds by just WILLING something to happen can make it come true? Some say that this happens all the time. Should I be content with my dreams? How can I convert my dreams into reality? 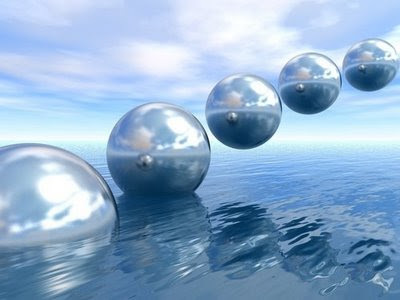 Should Parallel Worlds collide,and what are the consequences? Pardon me for dreaming out loud.